Welcome to a new Monday Montage Blog Hop! 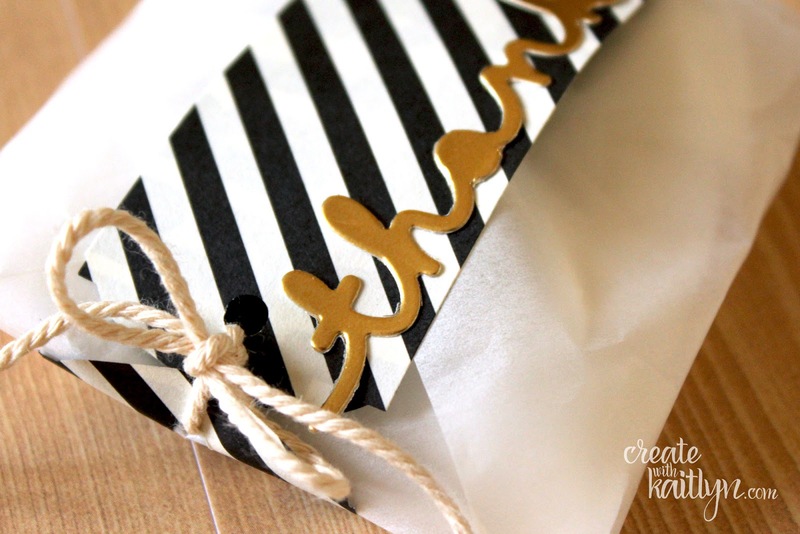 One of my favorite things to create is little gift packages, and I have a super cute an easy package to share with you today. Did you know that you can get Glassine Sheets from Stampin' Up!? Well, you can! They are awesome because they are kind of like wax paper, so you can see through them and they are great for food. I used the Envelope Punch Board to make 3"x3" envelopes out of the Glassine Sheets. The perfect size for cookies! The belly band was made with the Typeset Specialty Designer Series Paper, Ornate Tag Topper Punch, and Very Vanilla Thick Baker's Twine. Just punch both ends of the paper and tie them together with the twine. Remember to use the Precision Base Plate with the Greetings Thinlits and Foil Sheets so you don't get those annoying little bumps. Continue along the hop by using the buttons below! So simple and pretty..love it!